Even though standby generators can be difficult to install and set up at first, the best ones are relatively easy to maintain when not in use. That is because great standby generators are designed to run quietly and smoothly with only periodic maintenance if necessary. While the best standby generator depends on the size of your home and your power needs, this next one takes the top spot for most average-to-large homes. Checking out the typical prices of a standby generator may come as a shock initially. Common generators are expensive, often costing thousands of dollars, but there are several great budget options to consider if you have a small home to power. Budget generators are often lower in wattage and are more suited for smaller homes or in emergencies where you only need to power a few devices and appliances as necessary. 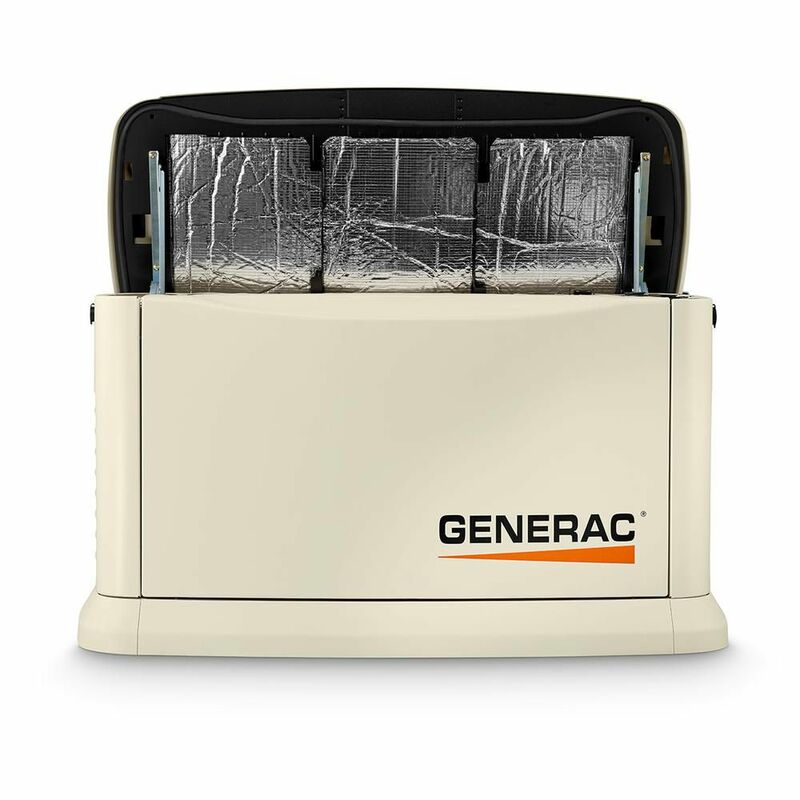 The Generac 9,000 Watt Generator is a budget option small enough to fit into tighter outdoor spaces while requiring less concrete for the support foundation, saving you even more. The OHVI engine is designed to run for extended periods of time during power outages and other emergencies. Powering up to 16 circuits in the home, this generator supplies enough power for the most important things during an emergency. Heat is always a major concern with standby generators. For a machine with so many complicated moving parts, heat naturally builds up the longer a generator runs. In order to continue to run without experiencing major, permanent damage, a generator needs a proper cooling system. For most affordable generators, this system swaps hot for cool air with built-in fans. The Briggs & Stratton 12,000 Watt Generator is all about efficiency and heat control in its design. With a small enclosure and effective air cooling system, the engine can run for long periods of time without overheating. The narrow footprint of the enclosure can even be placed up to a foot and a half away from the home if the landscape and local building codes permit. At 12,000 watts, the generator is meant for small-to-medium size homes. The more powerful a generator is, the more heat it will produce. For commercial grade and high-end residential generators, air cooling just is not enough to keep temperatures down to safe levels. Instead, liquid-cooling systems are the only way to really keep a generator working at peak efficiency. Even though they cost more, these systems are essential for safety when more power is needed. 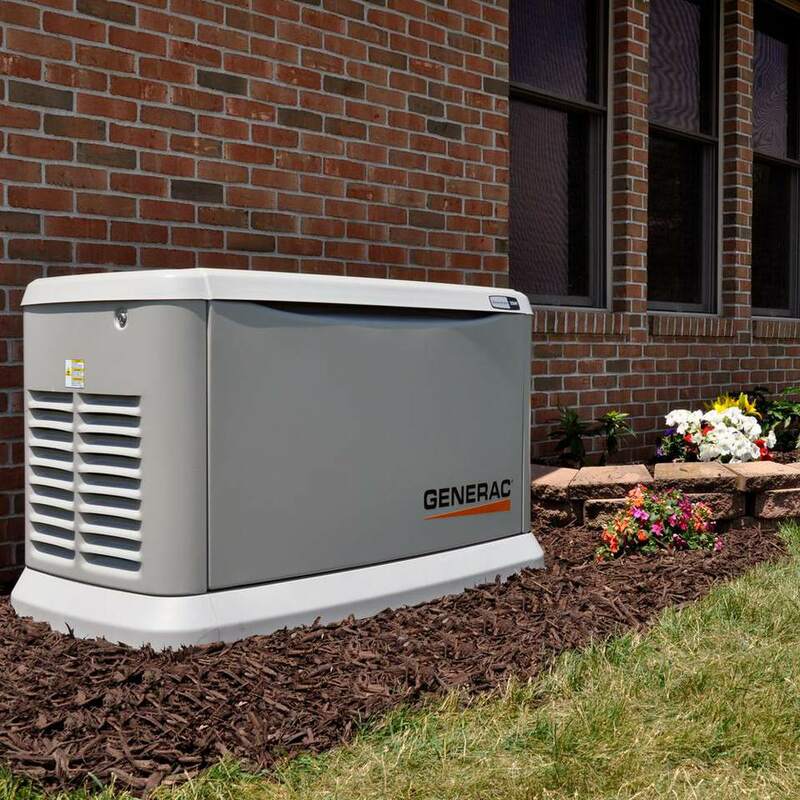 The Generac 48,000 Watt Generator is a borderline commercial powerplant that can be used on large homes as well. Despite the size and power, Generac has designed this generator to be as quiet as possible for residential use while remaining cool with its liquid-cooling system. At the 48,000 watt mark, the power plant is perfect for homes beyond 5,000 square feet, home businesses, and small retail stores. If you have a small space or house to generate power during a blackout or emergency, you do not need a large generator to get the job done. Small generators at or under 10,000 watts are perfect for homes on the small-to-medium scale or that have smaller power requirements. When you only have a few appliances and devices to keep running, for example, you can get by with lower wattage at a more affordable price. The Briggs & Stratton 10,000 Watt Generator is one of the smallest standby generators available that is designed for essential power coverage during outages. For an average home, the generator can handle two air conditioners and a small number of electric appliances from its 16-circuit coverage. Its small footprint also makes it easier to install the generator closer to the home in narrow and cramped yards. Most average homeowners do not need a lot of standby power unless they intend to keep everything on during an outage. In most cases, however, most people find that once they add up their necessary wattage level, something in the 10,000 to 14,000-watt range can meet their needs without much issue. At this level, you can run an air conditioner unit or two along with a couple of appliances when needed. The Champion Power Equipment 14,000 Watt Generator is one of the best options for the average home needing some coverage in the event of a power outage. The generator has been designed for cool and quiet operation in residential areas, and can even be fueled from a natural gas supply line hook up instead of separate, potentially dangerous propane gas tanks sitting near the home. One common drawback to most standby generators is the limitation of power smaller generators suffer. In other words, most generators are going to have a limit that fails to meet the needs of people with large homes or higher power demands. In these cases, a top-performing generator in the 15,000 to 20,000 watt range is the best choice since they will power more outlets and appliances at the same time. The Briggs & Stratton 20,000 Watt Generator falls just under most commercial standby generators, making it perfect for large home owners that do not want to sacrifice on power during an emergency. The 200 amp automatic transfer switch kicks on within seconds of a power outage and supplies enough juice for most appliances and outlets in a large home. For areas with frequent storms, the galvanized steel enclosure is weather and rust resistant as well. Even though you are only likely to use a standby generator during power outages and other unexpected emergencies, it can be nice to have an extra level of control over the device. Most generator manufacturers offer some kind of remote monitoring system, but few make it easy to navigate the different settings and menus of the device. Kohler, on the other hand, offers a user-friendly monitoring system for its customers. First and foremost, the Kohler 14,000 Watt Generator is a great option for powering an average-size home for several days during a power outage. Beyond the standard 16-circuit coverage and the ability to hook up directly to a natural gas supply, the real standout feature of this generator is the remote monitoring capability. Using a WiFi connection and Kohler’s purpose-built app, you can monitor and control the generator remotely from anywhere you want.